Glycerine can be reacted with various fatty acids to give their corresponding Mono/Di or tri esters. Glycerol esters are widely used as food additives, preservatives, as thickeners, emulsifiers, in cosmetics, leather, lubricant and other industries. Venus offers a wide range of Glycerol esters. 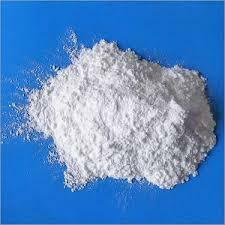 Well-known in the industry as a prominent firm, we are engaged in providing White Glycerol Monostearate Powder. Backed by a team of professionals, we offer Glycerol Esters for Laboratory to our clients. In addition to this, client can get the offered range from us at very economical prices. - Ultra low stable viscosity. - More suitable to finer yarn counts & higher ends. Spak manufactures Glycerol stearates (SE/NSE) with min 40% and more Alpha-Mono Glycerides. The products find applications in various industries like Foods, Personal care, Plastics, Textile etc. Glycerol Mono Oleate (GMO) and Glycrol Tri Oleate (GTO) are used in Lubricants, Plastics, Leather, Foods & Flavors. Glycerol Mono Laurate (GML) also finds application in food, personal care etc.